Feeding squirrels can be an exciting and pleasing past time. 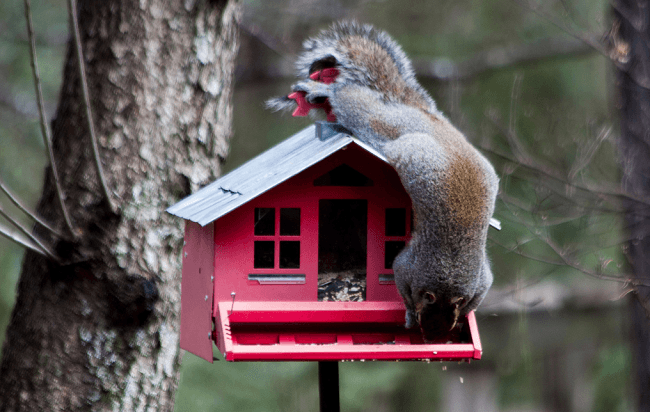 In this article I will present 7 tips for feeding squirrels as well as what to feed them and also some additional tips that will ensure you make the best of your time trying to get these fury animals as close as possible to feed them right out of you very own hand. There are a lot of food options when it comes to squirrels most people immediately think seeds and nut mixes, and you are correct. You can get a variety of nut mixes and when you look to buy some try to get ones with larger nuts. 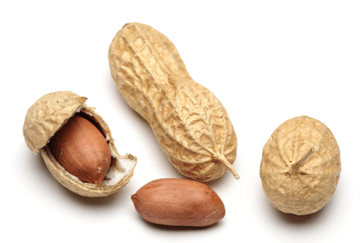 Smaller nuts are good and all but will not allow you to feed them directly out of your hand as well as larger nuts will. Peanuts are also a great choice and eventually if you gain the trust of some squirrels you might even get them to eat peanut butter off of a spoon. Getting the squirrels close is the funnest and most frustration part about feeding squirrels. It takes a lot of time and a great amount of patience but it can be accomplished if you set your mind to it. Buy nuts, if you buy nuts that are still in a shell the squirrel will be more likely to bring the nut away bury it and come back for more. This is something that will be a great advantage to you. When you see a squirrel in your yard you should head outside and throw them a nut. Only throw them one. Try to lure them to you and keep them interested in coming back to your yard specifically. Once they have taken the nut and eaten it or buried it throw them another one, this time throw it a little closer then you threw the last one. Each time they take a nut offer another one while keeping the distance of the nuts closer and closer to you each time. If the squirrel will pick up nuts about 2-3 feet in front of you, you may try to feed them one from your hand. It is important that you stretch your arm out as far as possibly and lean back away from the squirrel so that you don’t alarm them and scare them off. If the squirrel does in fact take the nut from your hand then you have accomplished a great deal. If not then drop the nut just infront of your hand and keep it there. Let the squirrel come close enough so that it knows your hand isn’t going to attack it so next time it might trust you. Continue this until you either run out of nuts, get bored, or the squirrel leaves and doesn’t come back for more. Some additional tips that will be useful when feeding squirrels is not to be quick with your movements if you are it is likely that the squirrels will leave. Use slow repetitive motions rather then jerky motions. Try to be as quiet as possible you don’t want to alarm them with loud sounds. You can talk to the squirrels but make sure you do so in a calm and very quiet voice until they seem to respond positively to your voice. You must also be very patient. Squirrels aren’t likely to come close to you for a while and sometimes might not come close at all. It may take them visiting several times before you make any real progress with them. Forming a relationship with the same squirrels is very important. If the squirrel remember you and knows that you are there to feed them and not harm them they will respond better to you. Try to possibly make out something about the squirrel so you can remember the progress you have made with each particular one as to not scare them by thinking you’ve made progress with a certain one, and it not actually be that squirrel. Having a squirrel around as a friend is a great way to spend some time outside and relax. It is also a fun thing to show neighbors or children who have never seen squirrels get so close to a human before. In conclusion Squirrels need to feel safe if they are going to come close enough for you to feed them out of your hand. Follow the 7 steps as stated above for your best chance at becoming friends with the fury squirrels that live nearby. This is a great way to pass the time at home and also allows you to help feed squirrels who may otherwise starve without your help.